It is very interesting to know about complete combustion in automobile engineering. 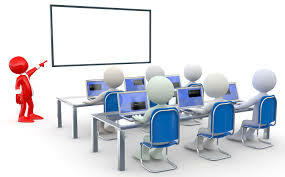 Because in actual practice, perfect combustion is not at all possible due to various losses in the combustion chamber as well as design of the internal combustion engine. Moreover the process of burning of the fuel is also not instantaneous. However an alternate solution to it is by making the combustion of fuel as fast as possible. This can be done by using two spark plugs which spark alternatively at a certain time interval so as increase the diameter of the flame & burn the fuel instantaneously. 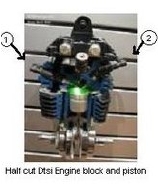 This system is called DTSI (Digital Spark Ignition system). In this system, due to twin sparks, combustion will be complete. This paper represents the working of digital twin spark ignition system, how twin sparks are produced at 20,000 Volts, their timings, efficiency, advantages & disadvantages, diameter of the flame, how complete combustion is possible & how to decrease smoke & exhausts from the exhaust pipe of the bike using Twin Spark System. 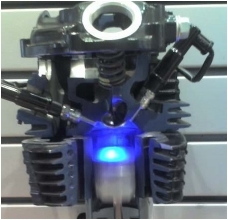 DIGITAL TWIN SPARK ignition engine has two Spark plugs located at opposite ends of the combustion chamber and hence fast and efficient combustion is obtained. The benefits of this efficient combustion process can be felt in terms of better fuel efficiency and lower emissions. The, ignition system on the Twin spark is a digital system with static spark advance and no moving parts subject to wear. It is mapped by the integrated digital electronic control box which also handles fuel injection and valve timing. It features two plugs per cylinder. This innovative solution, also entailing a special configuration of the hemispherical combustion chambers and piston heads, ensures a fast, wide flame front when the air-fuel mixture is ignited, and therefore less ignition advance, enabling, moreover, relatively lean mixtures to be used. This technology provides a combination of the light weight and twice the power offered by two-stroke engines with a significant power boost, i.e. a considerable"power-to-weight ratio" compared to quite a few four-stroke engines. Fig.1. show the actual picture of Bajaj Pulsar Bike. Moreover, such a system can adjust idling speed & even cuts off fuel feed when the accelerator pedal is released, and meters the enrichment of the air-fuel mixture for cold starting and accelerating purposes; if necessary, it also prevents the upper rev limit from being exceeded. At low revs, the over boost is mostly used when overtaking, and this is why it cuts out automatically. At higher revving speeds the over boost will enhance full power delivery and will stay on as long as the driver exercises maximum pressure on the accelerator.  Twin overhead cams with camshaft timing variation.  Injection fuel feed with integrated electronic twin spark ignition.